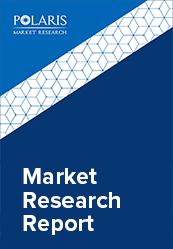 The global continuous glucose monitoring (CGM) market size was valued at 475 million in 2018 and is expected to grow at a CAGR of 15.8% during the forecast period. Glucose monitoring is a method to check the glucose concentration present in the blood. Glucose monitoring is used for diabetes diagnosis and its management. The traditional method for glucose monitoring is to draw blood from finger or skin and applying blood to a chemically active test-strip. traditional glucose meters are a widely used devices in healthcare industry. However, close monitoring of blood sugar level is necessary to check fluctuations in the glucose level. A continuous glucose monitor (CGM) is used to monitor the blood glucose level constantly. A CGM in an advanced medical device that delivers constant data regarding glucose level and provides real-time information on the glucose readings over the period of time. The CGM device displays information automatically, which is received at interval of every five minutes allowing the finger-stick less often. Such a device is used with or without insulin pump. A traditional blood glucose meter provides a single glucose reading. However, unlike the blood glucose monitoring (BGM), the CGM systems offers dynamic and real-time glucose information approximately up to 288 readings in 24 hours. A person is able to gain significant information regarding glucose levels and direction of change, providing additional insight into diabetes management. Growing technological advancements for development of easy operating solutions for testing glucose level in blood, rising demand for CGM point of care in the developing countries, and increasing safety evidences for these systems are other trends observed boosting the global market significantly. Additionally, rising need for the diagnosis of hyperglycemic and hypoglycemic conditions in an individual, and increasing opportunities in the developing countries with the increasing need of research and development by the key players also support the market growth. However, high cost and low availability of CGM systems in the developing countries can hinder the growth of CGM market during the forecast period. The global continuous glucose monitoring market is segmented on the basis of components, end use and geography.On the basis of components, the market is segmented into transmitters & receivers, sensor, and Insulin pumps. Transmitter & receivers’ segment to hold the dominating market share during the forecast period. While, insulin pumps segment to grow at a faster rate during the forecast period. Based on the end use, the market is segmented into hospitals, homecare diagnostics, and others. Homecare diagnostics to hold the major share. The market is primarily driven by the increasing product demand by the consumers as it is easy to operate without interference of hospital staff. By geography, the global market is segmented into five major regions, North America, Europe, Asia Pacific, Latin America, and Middle East & Africa. North America is further segmented into U.S., and Canada. Europe is divided into Germany, UK, France, Italy, Spain, Belgium, Russia, Netherlands, and Rest of Europe. Asia-Pacific is bifurcated into China, India, Japan, Korea, Singapore, Malaysia, Indonesia, Thailand, Philippines and Rest of Asia-Pacific. In terms of geography, North America dominates the entire CGM market. Growing diabetes cases and initiatives taken by the national government as well as private organizations to treat such disorders effectively are anticipated to drive the growth significantly. Growing adoption of new and substitute devices of traditional methods have been witnessed in the region further boosting market growth in North America. In Addition, the key drivers of the regional market growth include protective actions taken by the government organizations to aid diabetic people to treat the disease before causing any severe consequences. It is believed that the region would be displaying fruitful growth throughout the forecast period along with advancement in technology and substantial research and innovation in diabetes care. The North America is estimated to be the dominating region. Asia Pacific is estimated to be the fastest growing region in the market. According to the reports of Asian Diabetes Prevention Initiative, around 60% of the global number of people who are affected with diabetes are residing in APAC. Such high occurrence majorly in emerging economies majorly in China and India have been estimated to bolster the market growth in the region. In Addition, favorable regulatory policies, growing healthcare spending, and increasing investment by key market players, are also affecting the market growth significantly in APAC region. The major players operating in continuous glucose monitoring report include Dexcom Inc., Abbott Laboratories, Roche Diagnostics, Medtronic plc., Novo Nordisk, GlySen Incorporated, Animas Corporation, Bayer AG, Sensonic Corporation and Ypsomed AG. These leading players are introducing innovative products in the market to cater to the growing demand for consumers. Global players are entering new markets in developing regions to expand their customer base, strengthen market presence, and increase their market share in the market industry.